She's Sew Crafty: Kenny K New Christmas Release!! Woohoo! It's time for another challenge with the Kenny K Krafty Krew! Kenny K Downloads is also releasing three new and fun Christmas digis! I decided to color up Cozy Cocoa. I knew as soon as I saw it that I would use that one first for a tag on a gift. I made the box from a template I made and made it large enough that I could package up some cocoa and marshmallows inside for Hot Cocoa for Two. How perfect is that My Mind's Eye Lost & Found Christmas paper with the reindeer for the cabin feel! 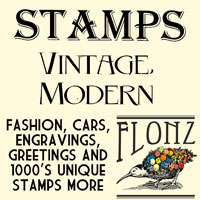 I embossed the box and used Vintage Photo DI to bring out the impression better. Can't wait for you all to join in this challenge and stop by the Kenny K Krafty Krew blog to see the rest of the Design Teams creations with the new releases! This is sooo pretty!! Love the idea! Wonderful pillow box! 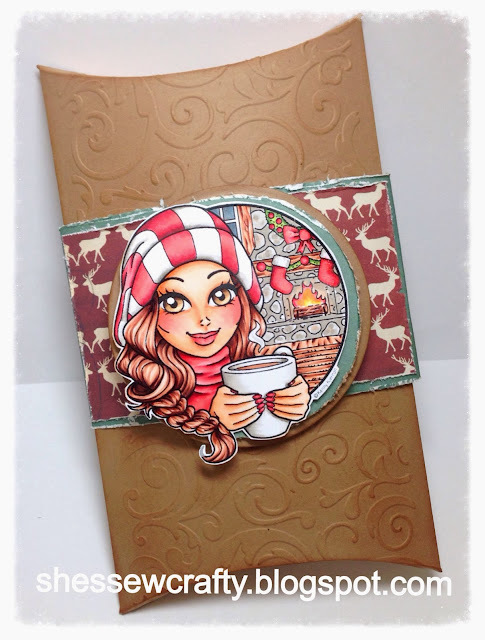 Love the embossing and your beautiful coloring!